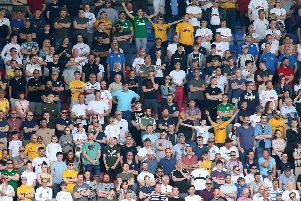 Phil Parkinson lamented the “cheap” goals conceded by his Bolton Wanderers side as they went down 2-1 to Preston North End on Saturday. Goals from Alan Browne and Tom Barkhuizen in each half helped the Lilywhites to a third straight away win that extended their unbeaten Championship run to five games. Despite PNE dominating proceedings for large parts, the struggling hosts did pull a goal back through Clayton Donaldson late on with Declan Rudd then denying Josh Magennis in stoppage time. “We started okay and had a couple of decent chances with Magennis’ header and shot and then they got control of the game,” said Chorley-born Parkinson, a PNE fan in his youth. “We didn’t get any control, like we have had in recent games and conceded a poor goal. “It was basic error, we got done by a one-two and that sent them in at half-time 1-0 up. “Before the second goal we were having a good period in the game and a very basic mistake has cost us that goal. “We can’t afford to give away cheap goals like we have done today because we are up against decent sides and we have to give ourselves a chance.